WWK Arena will host Saturday’s football game between Augsburg and Fortuna Dusseldorf, the two teams who sit in the danger zone in the Bundesliga standings ahead of Matchday 18. Augsburg failed to win previous eight league fixtures, but the game against the fellow relegation-threatened side could be the turning point for the Bavarians. 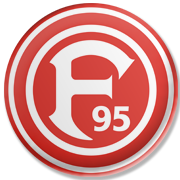 Fortuna Dusseldorf, on the other hand, are on a three-game winning run in the German top flight, with the team beating the likes of Freiburg, Borussia Dortmund and Hannover in the process. Anyhow, beating Augsburg on the road is easier said than done and we predict that the two teams are going to play out a draw in the relegation six-pointer. When the two teams met in Dusseldorf earlier this term Augsburg emerged triumphant, but seeing that the newcomers have found their best form of late, there is a big value in betting on draw. Philipp Max is the son of the former striker Martin Max, who is famous for being one of the oldest winners of the top scorer crown in Bundesliga, at the age of 32 and 34. Born in Viersen, Germany, Philipp Max started his career in SC Baldham, after which he joined 1860 Munich in 2003. Bayern Munich youth team was his next destination, but three years after Max signed for Schalke 04 in 2010. For two years he played in the youth team and after that he was moved to Schalke 04 II, recording 54 games and netting 3 goals in the process. He made his debut for the Shalke 04 senior team on March 2014 in the clash against Borussia Dortmund, as a replacement for Julian Draxler. However, he did not impress during his spell with Die Königsblauen, so he moved to Karlsruher and later on to Augsburg, which was a spot on decision. The left back, who can also play as a left midfielder and left winger, was the second-best assist provider in the Bundesliga during the season 2017/18, just behind Thomas Muller.